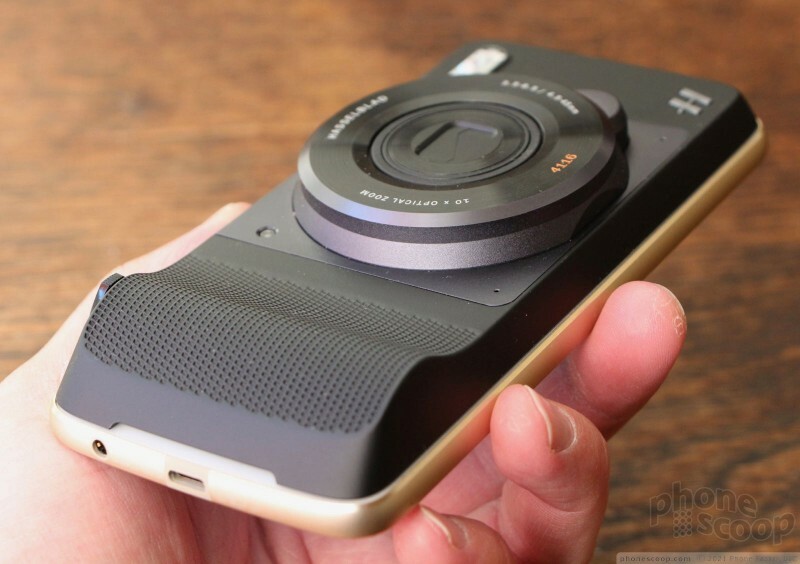 Here are our first impressions of the mid-range Lenovo Moto Z Play Droid smartphone and the new True View camera mod from Hasselblad. 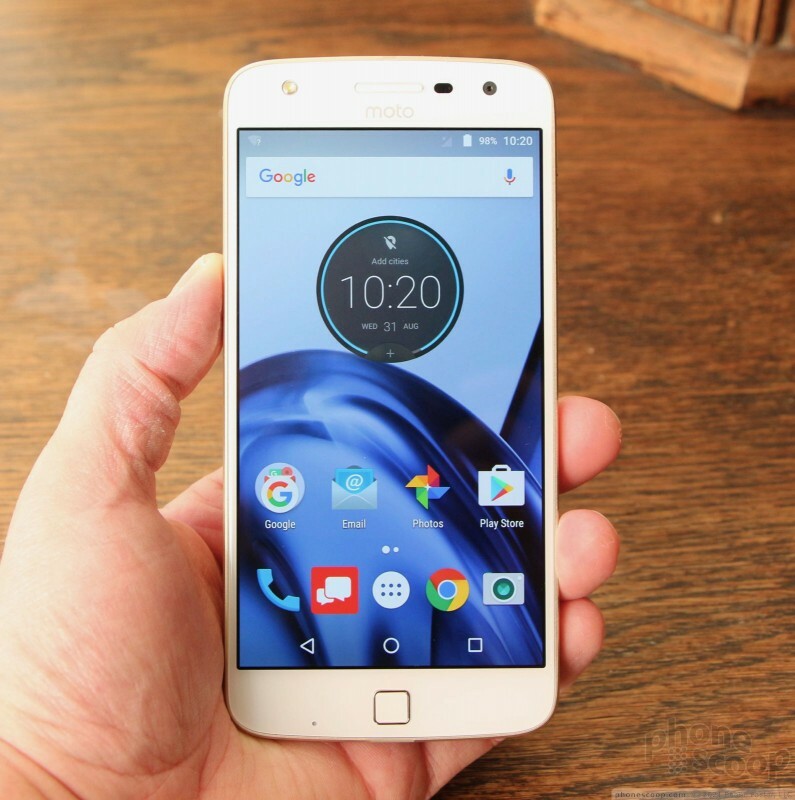 Lenovo's Moto Z Play Droid is a more affordable cousin of the Z Droid and Z Droid Force. Like its better-spec'd brothers, the Z Play is modular, meaning it accepts detachable and hot-swappable modules that add functionality. 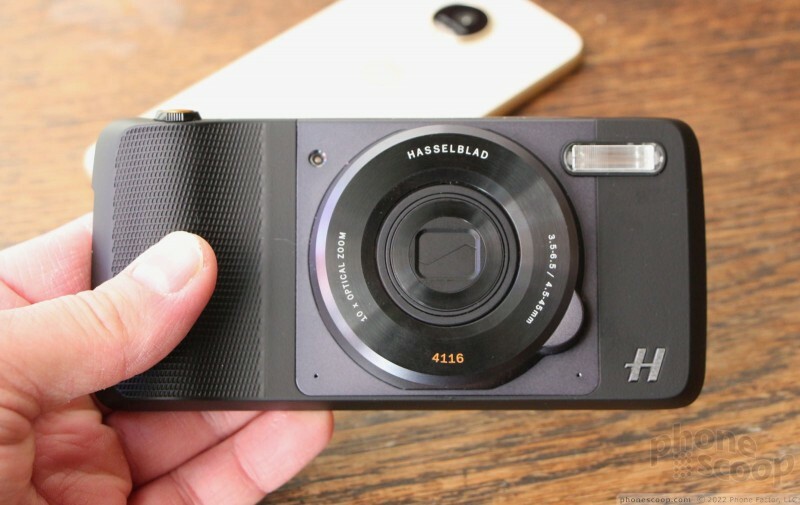 Alongside the Z Play, Lenovo showed off its latest mod, the Hasselblad True Zoom camera. First, the basics. 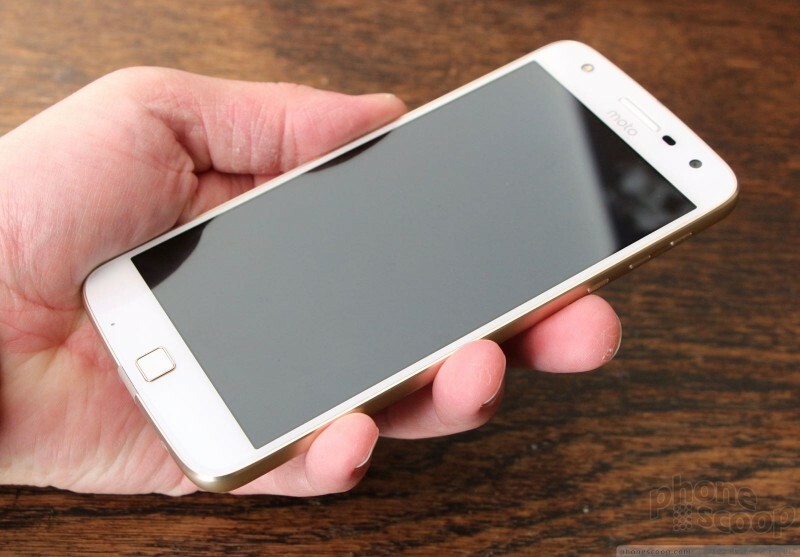 The Z Play is a nearly high-end Android smartphone. It's made from good metals and glass. 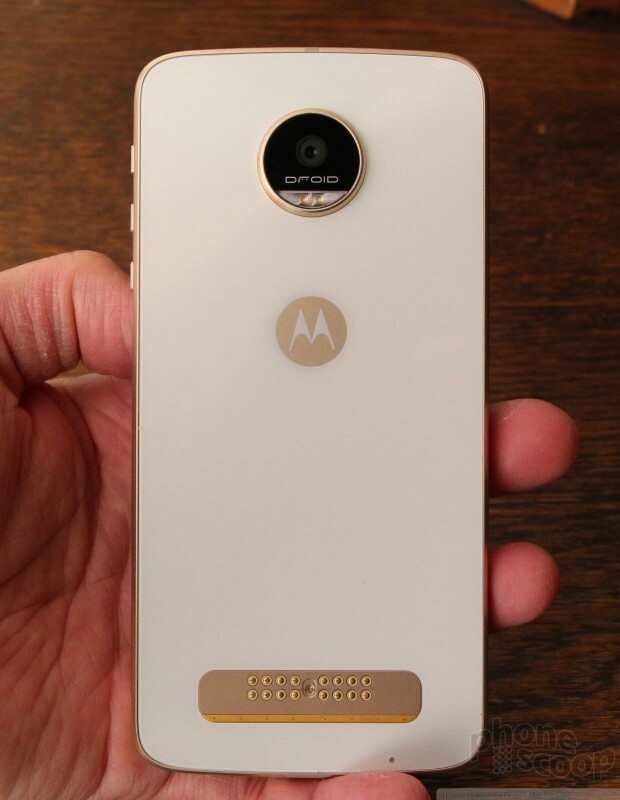 The Z Play is nearly identical in appearance and thickness to the Z Droid Force. 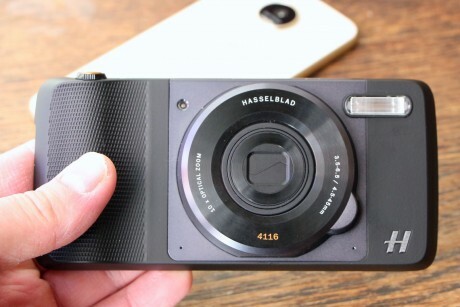 It has a 5-megapixel camera (with selfie flash!) 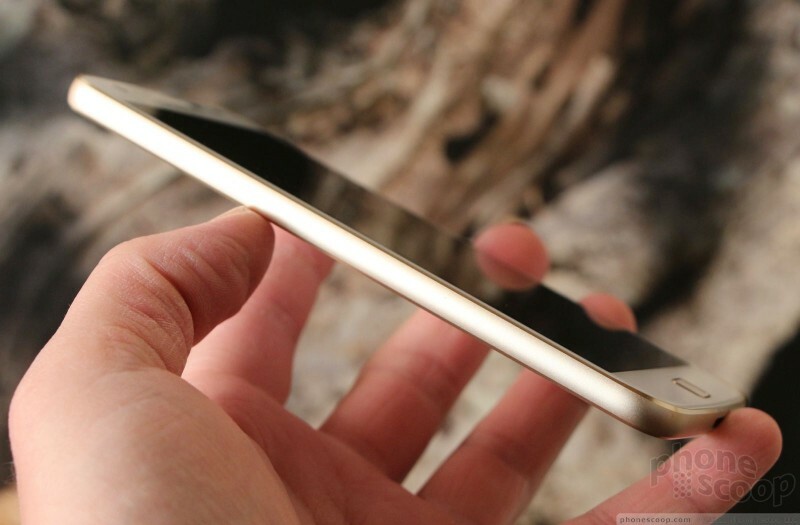 on the front, as well as a fingerprint sensor below the screen. There are no physical buttons on front other than the sensor. The sensor is small and squarish. It feels okay. 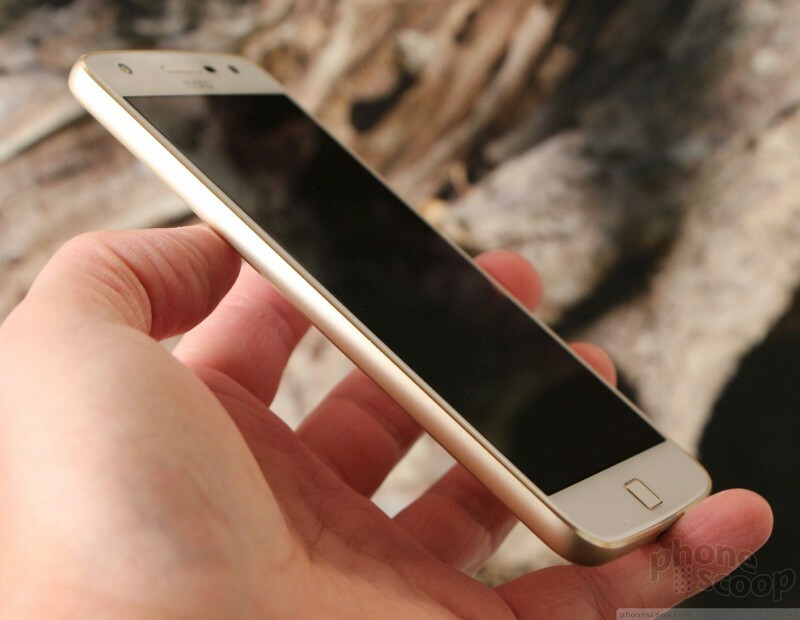 The phone is still tall and wide in order to accommodate the 5-5inch screen, and the weight is definitely noticeable. The materials are good, as is build quality. The metal frame that wraps around the outside edge is nice. 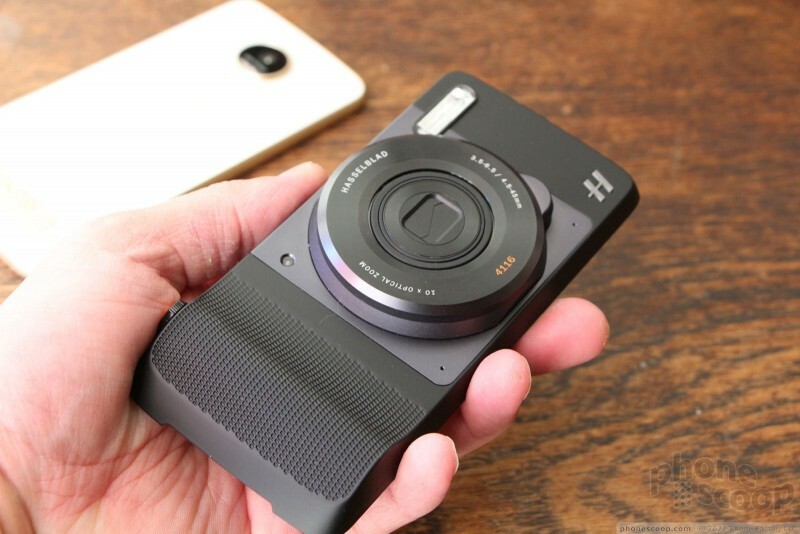 The Z Play should fit in most pockets, but it is definitely not as svelte as the Z Droid. 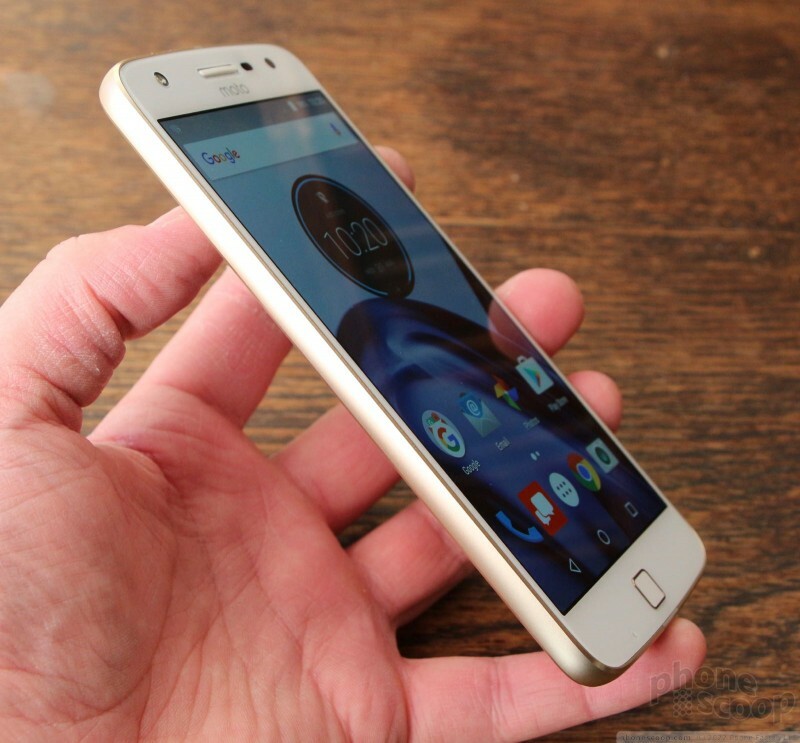 The left edge of the Z Play is entirely clean, but the right edge holds the screen lock and volume buttons. All three are easy to find and use; they offer excellent travel and feedback. 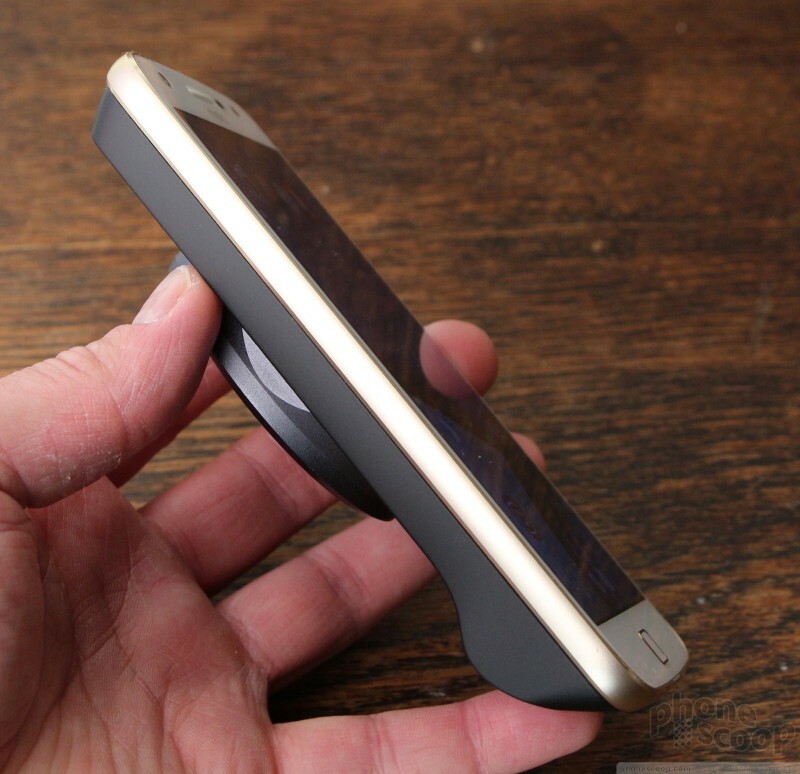 The screen lock button has a texture to help set it apart from the smooth volume buttons. The USB-C port is on the bottom and the SIM/memory card slot is on top. 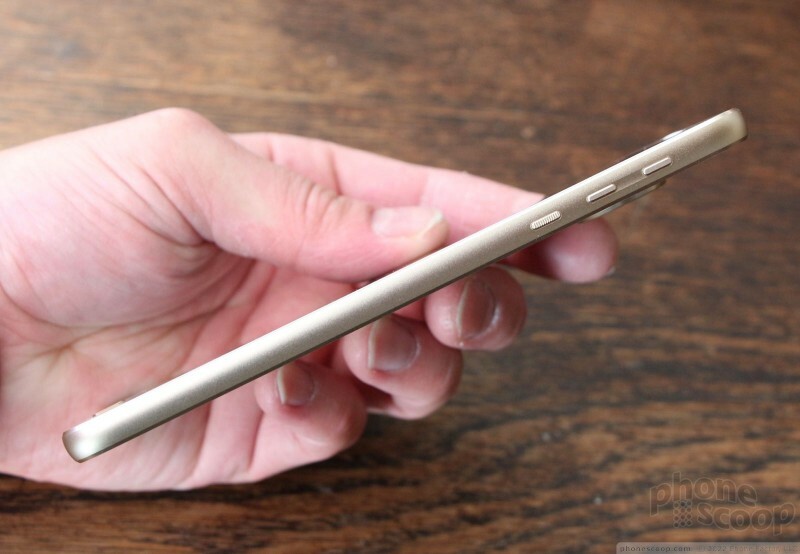 Curiously, Lenovo added the standard 3.5mm headphone jack to this phone. The Z Droid and Z Droid Force do not have headphone jacks. 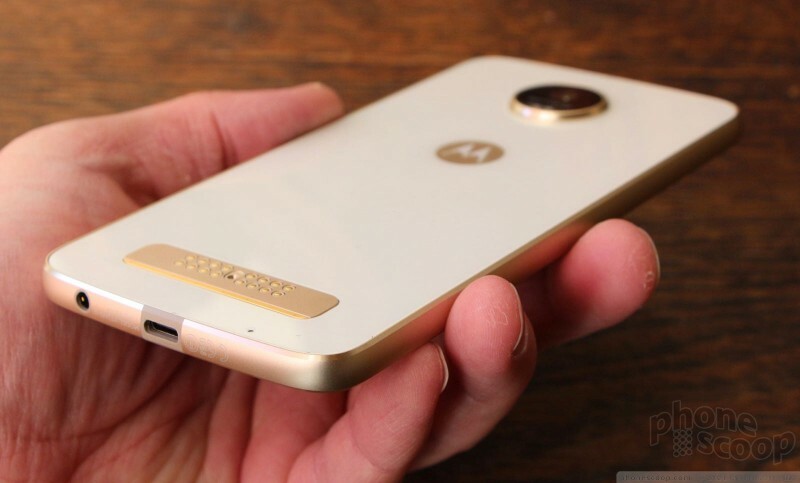 Motorola didn't say why this lower-cost handset includes the jack, but it is likely because the phone is thicker. The screen looks good enough. 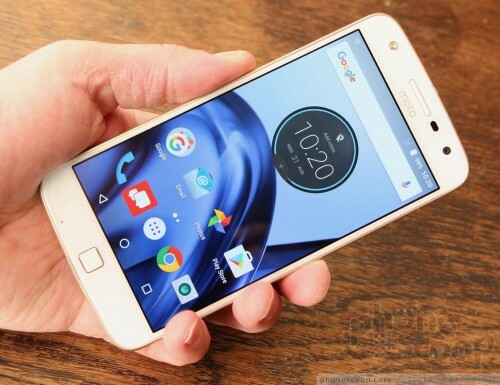 Where the other Moto Zs have quad HD displays, the Z Play's 5.5-inch screen steps down to 1080p HD resolution. I thought the screen was nice and bright. Viewing angles are a bit narrow and there's still a minor blue shift when the phone is tilted. The glass fits into the metal frame nicely. I particularly like the chamfered edges of the frame. 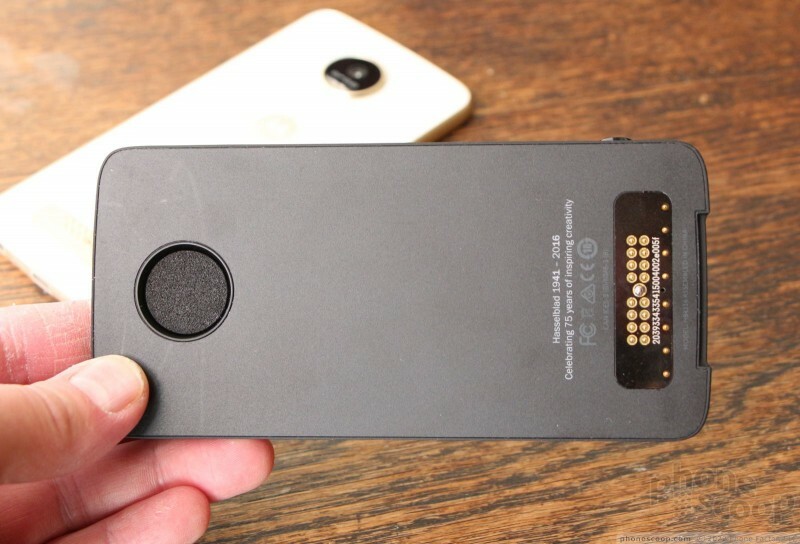 The rear of the phone is dominated by two things: the ridiculous camera module and the set of copper connector pins near the bottom. 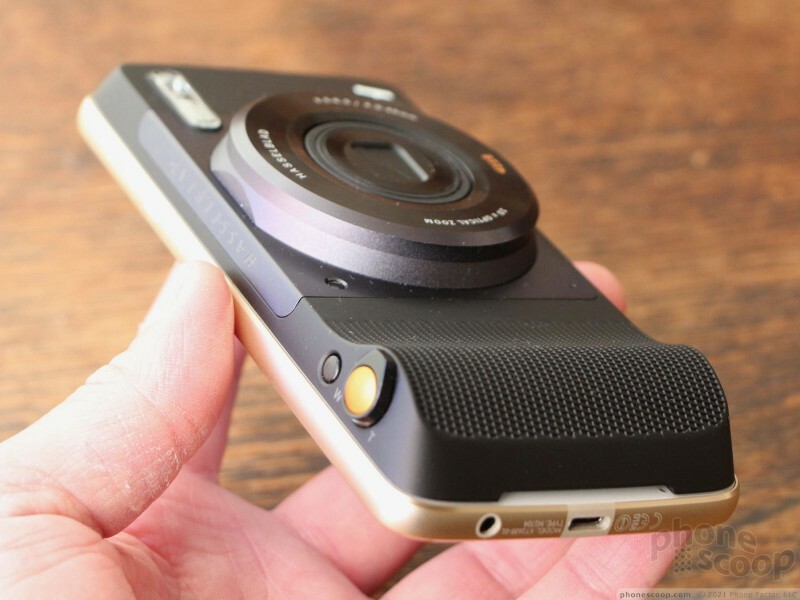 In order to be compatible with the detachable modules, the camera bump is the same one we saw on the Z Droid and Z Force Droid. It's quite large. 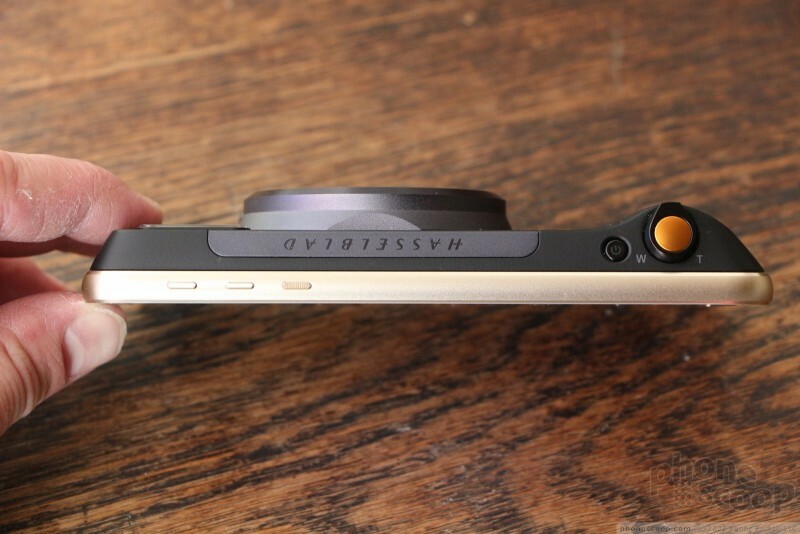 The circular camera bump protrudes by a few millimeters, as though someone stacked two quarters on the back panel. The Z Play has a 16-megapixel sensor, which splits the difference between the 13- and 21-megapixel shooters on the other Z Droids. The camera is accompanied by a two-tone LED flash. 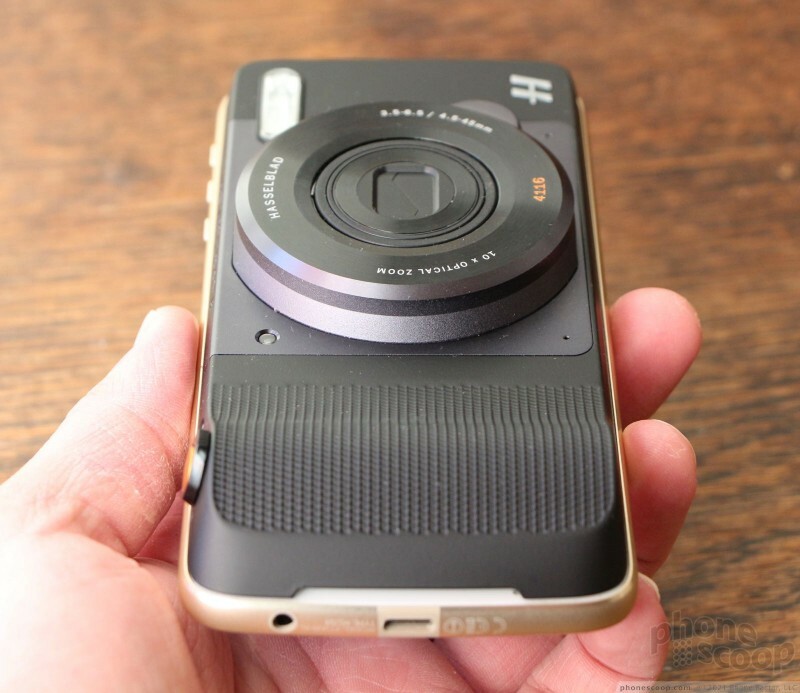 One of the biggest and most obvious design differences between the Z Play and the other droids is the rear panel. The Z Play uses glass rather than metal. 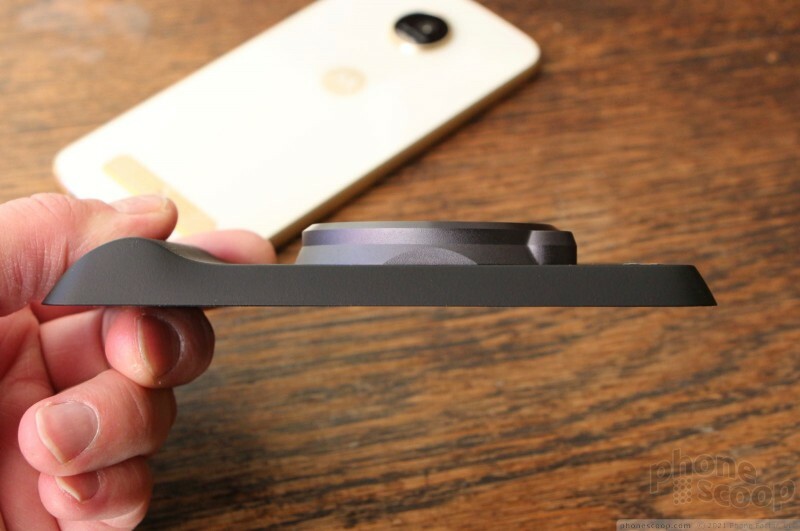 The glass has a just-barely-there circular pattern that you can see only when the phone is close. 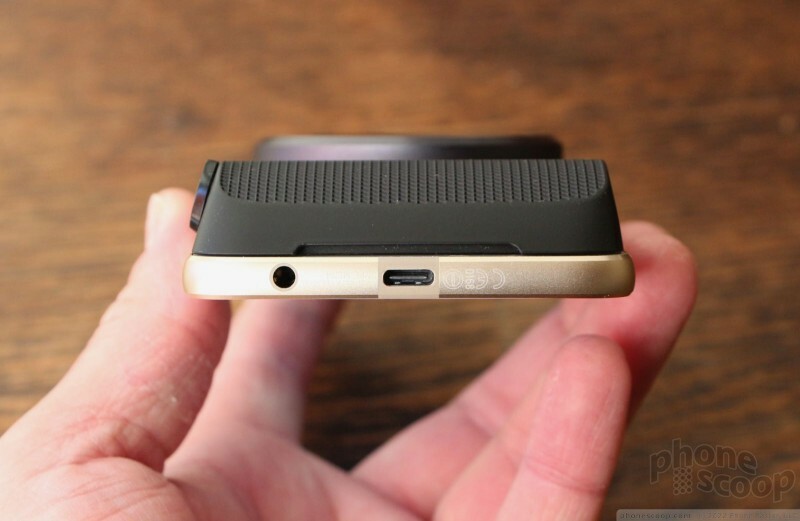 Near the bottom you'll see a series of copper pins, which is where the Moto Mods connect with and talk to the Z Play. Lenovo told us earlier this year that the connector is fail-safe and hot-swappable. Invisible magnets are positioned in the four corners of the rear panel to hold the modules in place. You can put modules on the phone and remove them at will. There's no pulling out the battery (which is sealed inside, by the way), no removing the bottom hatch, none of that: simply drop the module on and go. First, the True Zoom is not an independent camera. You cannot use it without a Z Droid; it has no battery of its own and needs power from the Z Play. That's kind of a bummer. 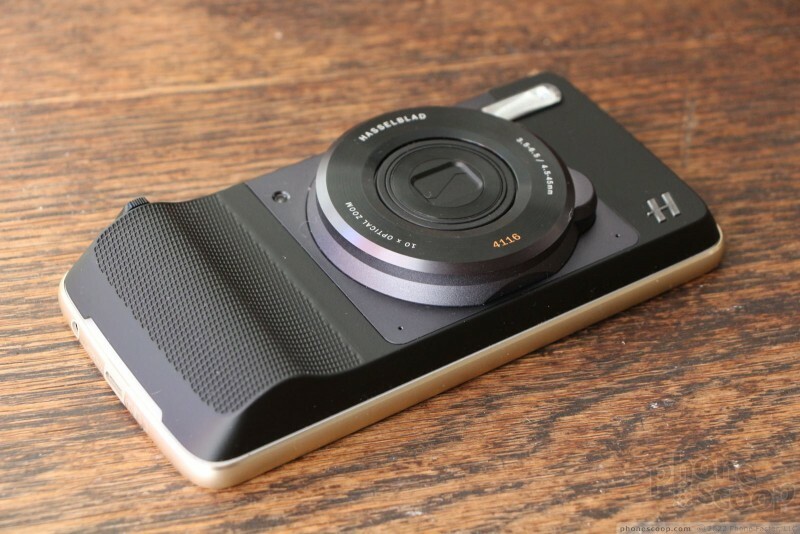 The True Zoom completely covers the phone's camera, where other mods leave the camera exposed. That means when the True Zoom is attached to the Z Play, you're using the True Zoom and not the internal camera to take pictures. 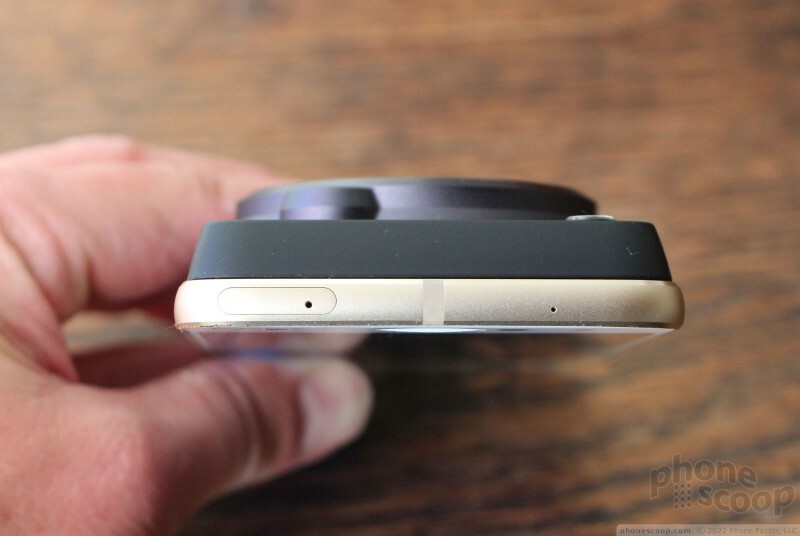 Ironically, the True Zoom is about the same size as an independent camera. It snaps onto the back of the Z Play like any other mod. It fits firmly and won't fall off, despite its weight. Yeah, this thing is heavy. I don't have an actual number, but the phone+camera is weighty — and bulky — as hell. In fact, the combo was too big for my jeans. The added physical controls might be worth the bulk. 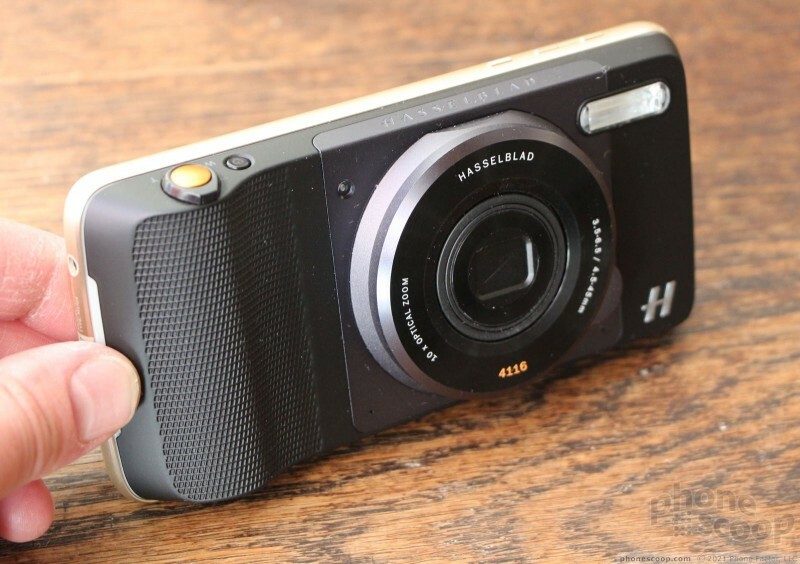 The Hasselblad has its own shutter button, zoom dial, and power button. Pressing the power button turns on the camera and wakes the Z Play. 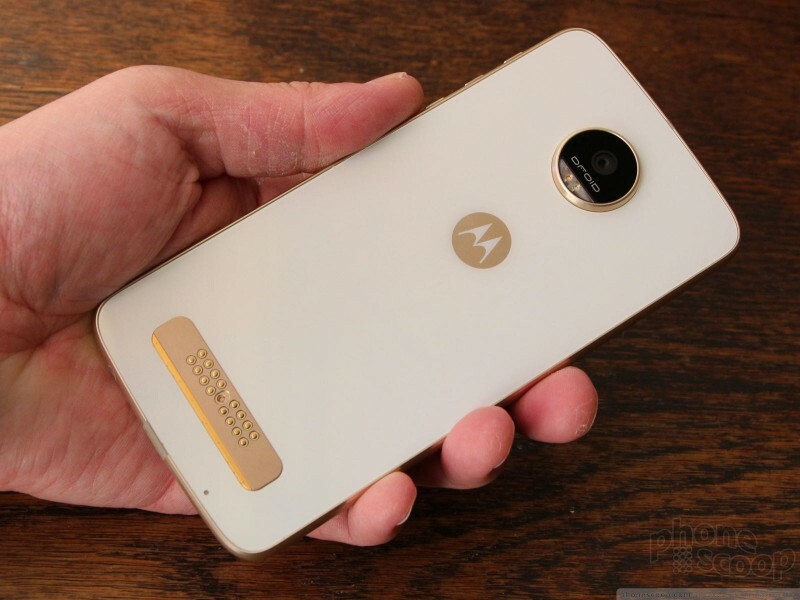 Alternately, you can wake the camera directly from the app or the writ-twisting gesture common to Motorola phones. 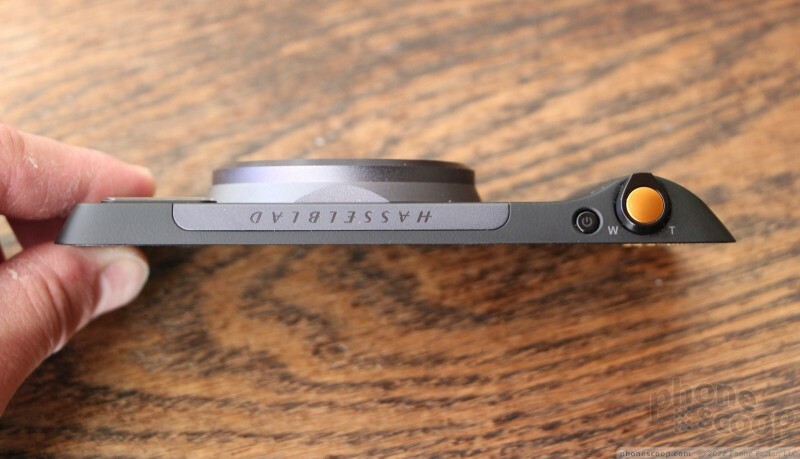 I love having the zoom dial and two-stage shutter button to focus and snap the shutter. 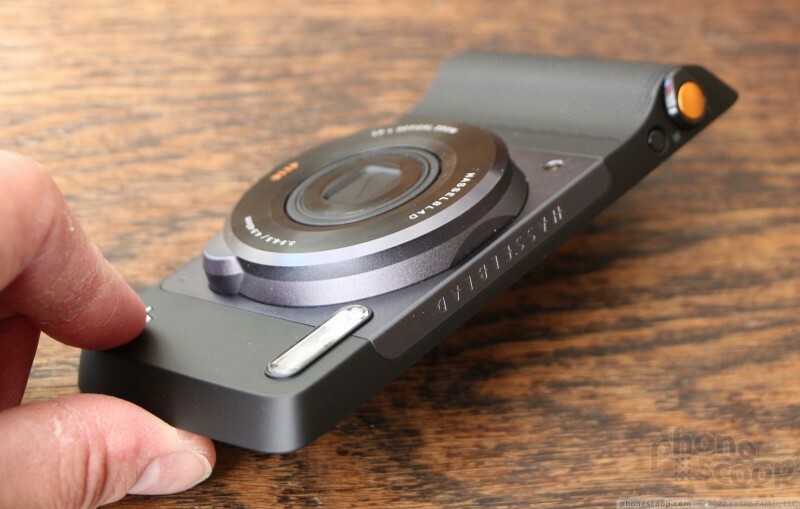 The True Zoom has its own 12-megapixel sensor and xenon flash. The flash is hella bright, and images are automatically stored in the phone, not somewhere in the camera. What are the benefits of this mod? There are several. First, 10x optical zoom. This means you can zoom way in and still have a sharp, full-resolution image. 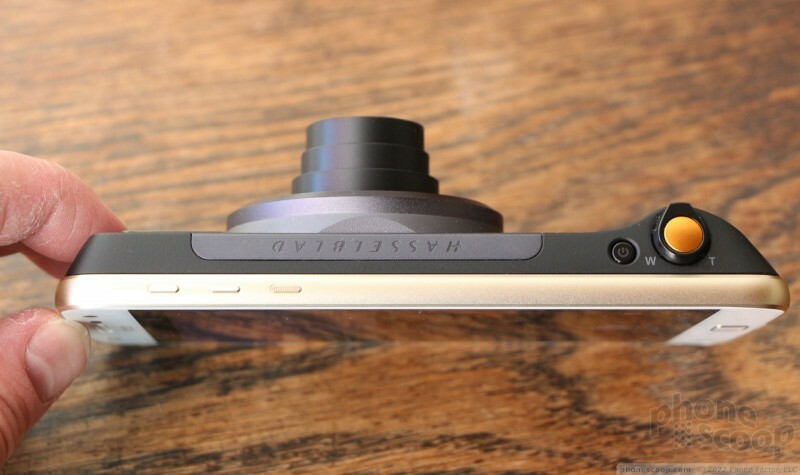 Second, optical image stabilization. This helps reduce shake. The flash is much brighter than any available on a smartphone. Last, it can capture images in RAW format, which aids in editing after the fact. Some of the early results I got with the camera showed good focus when zoomed all the way in, but the performance is incredibly slow. The True Zoom takes forever to focus on and snap images. It's so slow that it could be a deal breaker. Perhaps Motorola has a software update in the wings to make it run smoother. 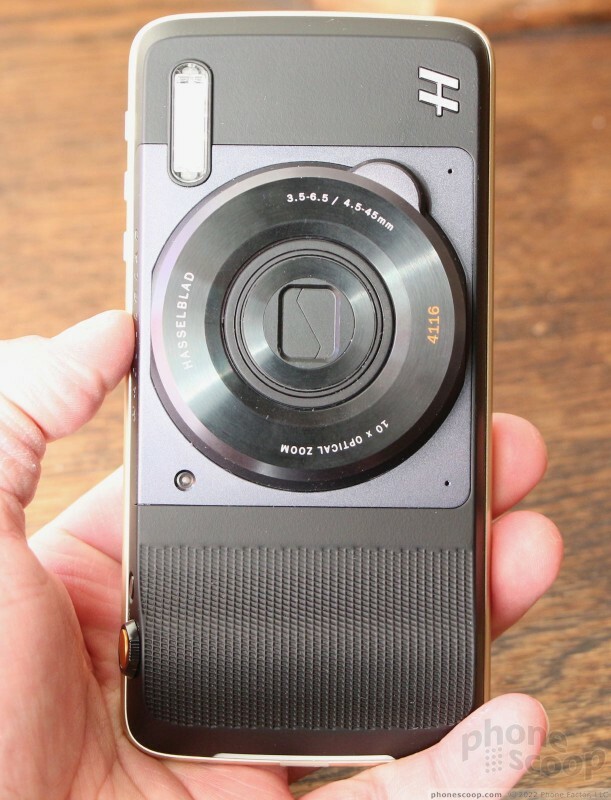 The Hasselblad True Zoom is compatible only with the Z Play at launch, but the Z Droid and Z Droid Force will be updated on or about September 15 so they can use the True Zoom mod, too. 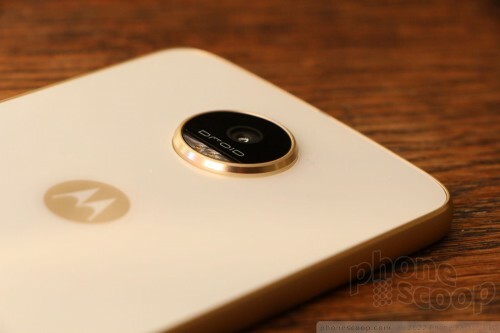 The True Zoom costs a hefty $250 if you buy it from Verizon, or an even worse $300 if you buy it from Motorola. 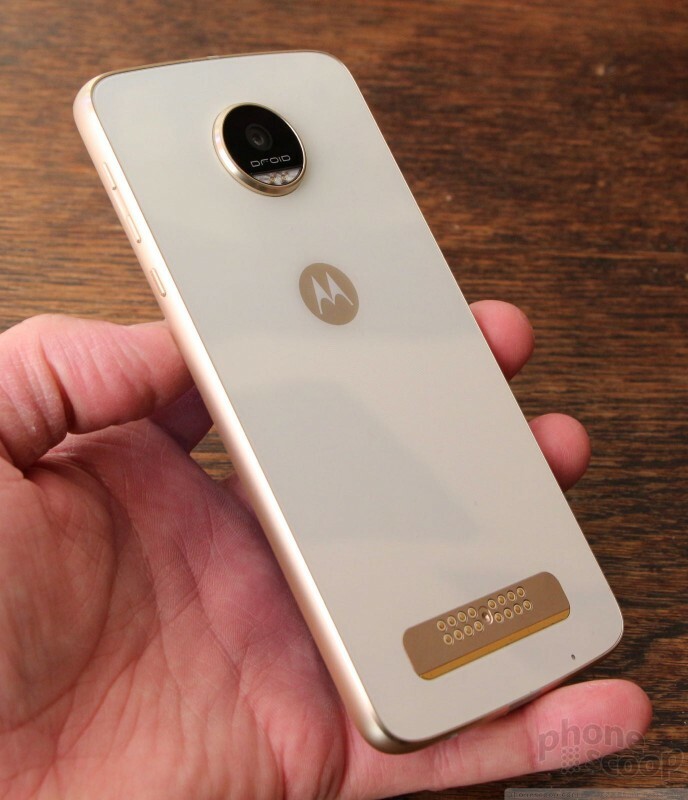 Motorola's latest Moto Z handset is a compelling and affordable Android smartphone that also happens to be compatible with the company's ecosystem of Moto Mods. 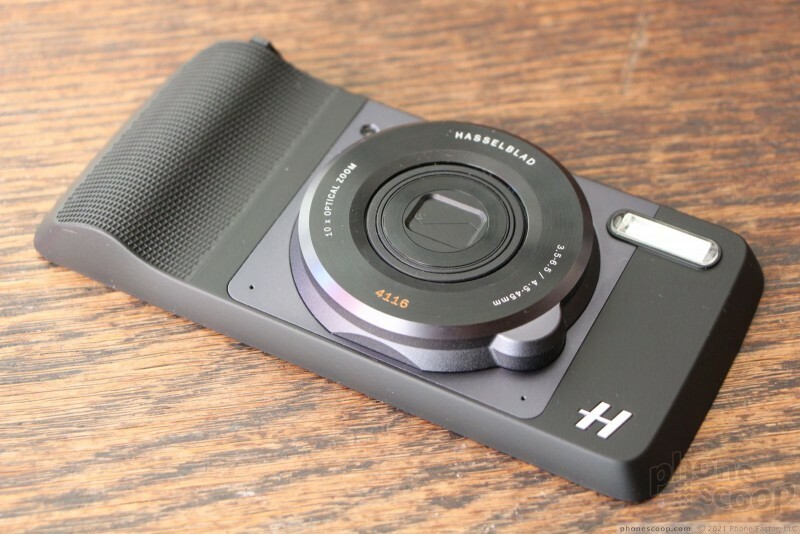 Along with the Z Play, we've reviewed the Hasselblad True Zoom camera mod. 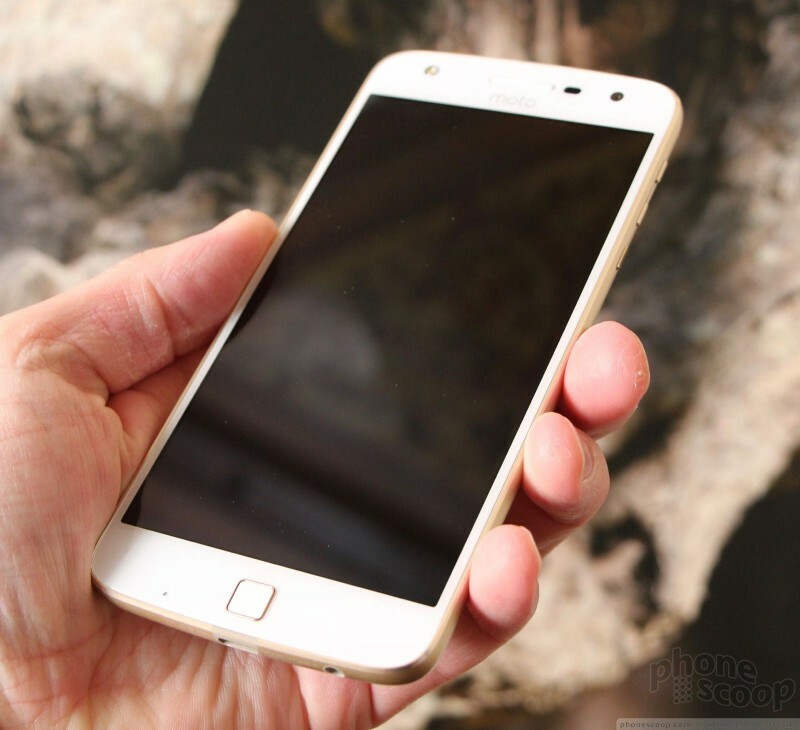 I like the phone itself, it feels exactly like the S6 in my hand, but I was hoping for more from the True Zoom. I haven't got to play with any attachments but hopefully they can update the firmware to make it faster otherwise its a no go for me. Ive already got enough pretty good image but slow to capture cameras.